Take Advantage of Natural North Florida’s Warm Winter Waters–Go Wade-Fishing! Wading give you the advantage of stealth when fishing for black drum and redfish. It may be cold where you live, but we’re having a nice, comfortable winter here in Natural North Florida. Christmas and New Year’s saw daytime temperatures approaching 80-degrees F and Gulf of Mexico water temperatures in the mid-60’s. That’s “cool” for us, but it’s perfect for species like black drum and redfish. These cousins (redfish are “red drum”), are often found along bars and oyster-encrusted shorelines from Yankeetown to Panacea. But they can be wary of boats and lots of noise like slamming hatches and the frequent “high-fives” of happy anglers. 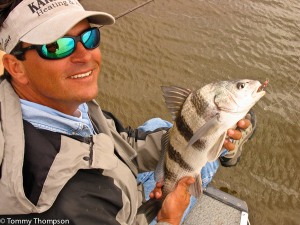 Black drum often cruise the deeper sides of oyster bars as well as creek channels. Small ones make good table fare. When wading, it’s important to carefully scout the bottom. Be sure it’s hard enough to support your weight, and wear shoes, boots or waders that won’t get sucked off in the mud. DON’T attempt to wade oyster bars with low-top shoes or flip-flops! 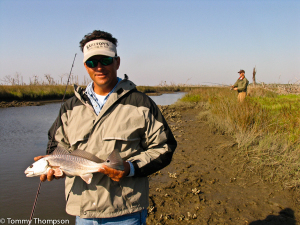 Wintertime redfish (red drum) can be small-ish. Remember the slot size is 18-27 inches! These members of the drum family (so named because of the “drumming” sound they make”) hunt by smell and have relatively poor eyesight. That being the case, they’re easily attracted to smelly or slow-moving baits. 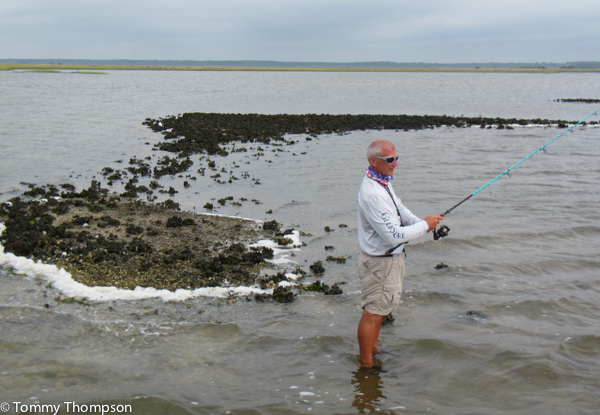 Try live shrimp, rigged under corks or free-lined using a “knocker rig”, on light spinning tackle. However, you may want to up-size your tackle if you’re fishing the waters near Cedar Key or Yankeetown, as the black drum there can often top 40-pounds! Artificial baits, like Berkley Gulp!, and lures work well too, especially if the winter stays warm and the water temperatures get back into the high 60’s.